Before the sweeping changes to the family law statutes occurred in 2016, divorcing parents with minor children had two options for custody, sole and joint. The updated family laws have created a new “kid-centric” approach for parents and the courts to consider when looking at the issues surrounding child-rearing after a divorce. Prior to January 1, 2016, in a sole custody arrangement, one parent could be granted the sole-authority for making important decisions regarding the child including medical, educational and religious issues. Previously, under a joint custody situation, both parents would be awarded authority over such child-rearing issues and would have to consult each other to work out making decisions for their child regarding the above-named issues. One parent was typically designated as the “custodial parent”, and such a designation gave the Court, parents, and children the impression that one parent actually had more authority than the other parent. The intent of the updated family laws is to dispel the impression that one parent has superior rights and power over the children than the other. The goal is to maximize parental involvement with the children and afford them the benefit of having their parents share the responsibilities of raising them. By legislating this, parents will hopefully cooperate more with one another if neither is designated as custodial or non-custodial. Therefore, these past notions of custody are gone, and replaced with a cooperative allocation of parental responsibilities. The goal is to put the child’s needs and best interests first while respecting and protecting each parent’s rights. Previously, the Court would enter a Parenting Agreement in cases of sole custody, and a Joint Parenting Agreement in cases of joint custody. Moving forward after the new amendments, the parents are expected to enter into a Parenting Plan, and must propose such a Plan during the divorce or separation. The law now requires that the parents enter into a Parenting Time schedule. If the parents in a divorce or separation cannot agree on all of these terms, the court may use its discretion to allocate parental responsibilities between the parents as deemed to be in the child’s best interest. Of course there will still be cases in which one parent is the more fit and proper parent to make all of the decisions regarding the child’s upbringing, and a Parenting Plan that is resembles the old “sole custody” will most likely properly protect the child’s best interests. Under the new IMDMA guidelines, one parent will typically be granted a majority of the parenting time which can provide a child with home stability and basis for determining child support. The idea is that parents do not merely visit with their children; parents spend time with their children. It reinforces the notion that your time with your child is not as a visitor, but as a parent who raises and actually parents your child. Regardless of how the allocation of the parental responsibilities, the new IMDMA presumes that every parent has a right to parenting time with their child. However, the court may limit or restrict a parent’s time with the child if parenting time poses a threat or a risk to the best interests of the child. The purpose of this it to keep the child safe physically, mentally and emotionally. Sometimes in order to assist the court in examining these factors to determine the best interests of the child, the court will appoint a Guardian ad Litem for the minor child. This is usually a licensed attorney who has qualified to become a Guardian ad Litem through county certifications and works as the eyes and ears for the court. The Guardian ad Litem investigates the child’s family, parents, and those who have regular contact with the child and are involved in his or her life. The Guardian ad Litem evaluates the child’s situation and will make recommendations to the court regarding issues such as custody, visitation, and removal from the State, if that is at issue. In most cases, the Court will order both parents to equally share the cost of the Guardian ad Litem. However, depending on the income situations of the parties and circumstances of the custody litigation, the Court can assign a lesser or greater share of the expense to one of the parties. Please note, that as of July 1, 2017, Illinois will be adopting new child support calculation guidelines based on income sharing in which both parents shall owe a duty of support regardless of with whom the children reside and the amounts paid will be off-set. Therefore, as of July 1, 2017, the above-mentioned percentage guidelines will no longer be applicable when calculating child support. In addition to the above child support percentages, the obligor parent may be ordered to contribute financially to health insurance, daycare expenses, educational expenses, and even extracurricular expenses of the minor children. 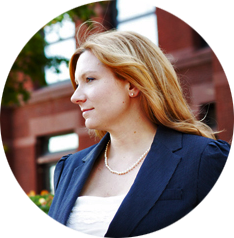 Contact Attorney Danelle Wozniak for further clarification on child support and visitation matters.